Home » change » Where Is Your Money Vibe Right Now? Where Is Your Money Vibe Right Now? Do you have a clear idea on where your “money vibe” is right now? It’s really easy to find out with this fast exercise and tapping I’m going to share with you. What is a “money vibe”? It is a term, my teacher Margaret Lynch, uses to determine if someone is actively engaged in attracting/creating/manifesting money or actively blocking/sabotaging/avoiding money. So what do you think? Would it be helpful to know what your money vibe is today? You bet! 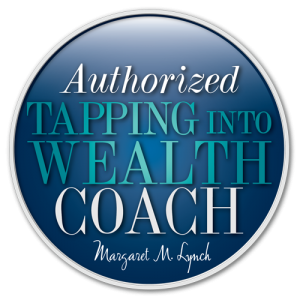 Besides, when we identify where you vibe is, you can take laser focused steps with tapping to shift it even higher to the MONEY CREATION/MAGNET level! Below is an exercise that will bring clarity and then you can do some powerful money tapping following me on the video. Part 1: Let’s find your immediate money vibe, how you are feeling about your money using your income as our base. Does one sound like “It isn’t enough”? If so, how true is is that statement on a scale of 1 to 10, 10 being very true? Sit with this for a minute or two and what are the feelings coming up within you ? Notice if you have sensations in your body and where they are, what would the sensation say to you if you were to give it a voice? Moment of Clarity: This is your immediate vibration about money! Why: Because your income represents the main way money comes into your life. You are living by it, through it and are aware of it 24/7. 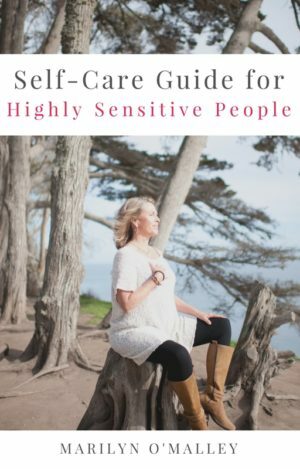 So if it triggers negative feelings like anxiety, fear, worry, failure, embarrassment, frustration,… Can you see how that is a pervasive money vibe? Do you see how that is a HUGE CONFLICT OF INTEREST when you think about the law of attraction? 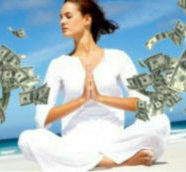 Your income money thoughts are TRIGGERING negative feelings and vibes. Here is a BIG INSIGHT…it is not really what it seems to you. What is happening is your nervous system has been wired long ago to react with those exact thoughts and feelings when it comes to money…and you have CREATED YOUR REALITY from that programming. So the best way to address this issue is at the nervous system level because if we shift it there your whole money reality will shift! YEA! This is why we are going to be tapping. Tapping a mind/body tool will stop the fight or flight responses(stress response) you have to your money issues or other life issues. Click on the link below to the video and tap along with me voicing and releasing your emotions and thoughts honestly. Let’s shift your money vibe! As we are tapping along feel free to put in any feelings or sentences that are true for you if I don’t mention them. Please leave me comments on how this felt, resonated or shifted you!